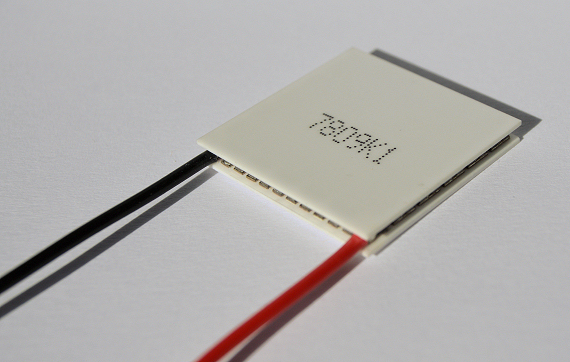 Multi-purpose module TM 71-1.0-6.0 is a powerful 20 x 20mm cooler intended for use with 5 (to 8.6) volt (DC) power sources. 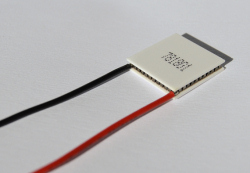 Compact size, excellent cooling capacity and relatively low heat ejection, make this module popular for spot cooling but is also frequently used in strings to control the temperature of a larger surface area utilizing 12V and 24V power sources. 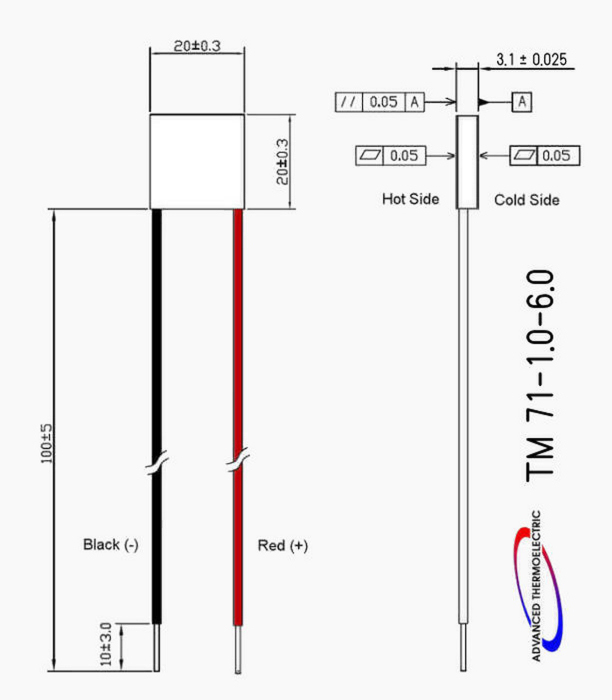 For example, two TM 71-1.0-6.0, connected in series, can be operated from a 12V source (or 15V) while four can be operated from a 24V source, etc. Multiple strings of this type allows coverage of a large surface area. 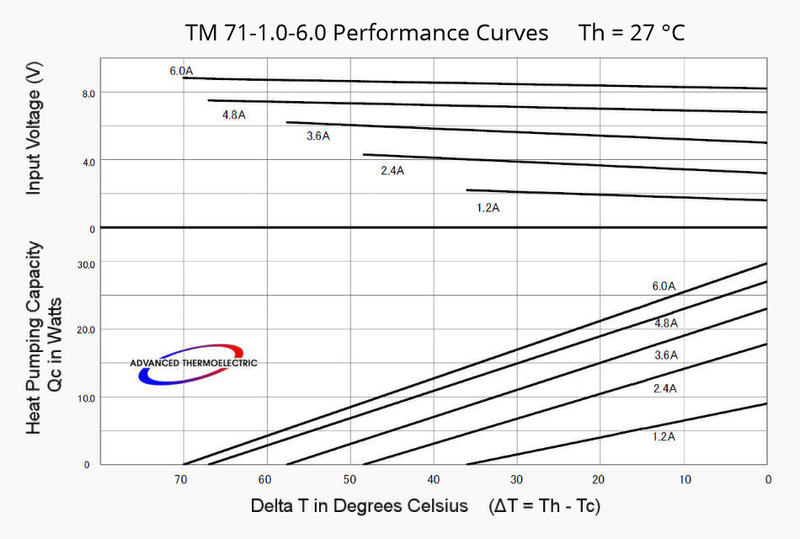 Can be used with a wide variety of economical extruded heat-sinks without the hot-side temperature becoming unreasonably high. It’s also frequently used in strings. 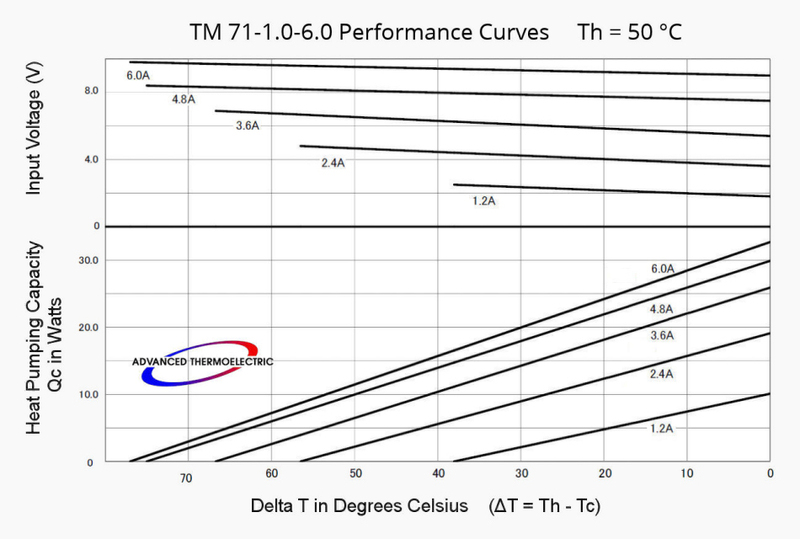 TM 71-1.0-6.0 may be used for cooling, heating and thermal stabilization and is employed in a wide range of applications including electro-optic/photonic, fiber optic, aerospace/military, telecommunications. A version for thermal cycling is available.